It’s an exciting time for Africa’s business travel industry. In recent years, the continent has attracted international attention as a promising emerging market, as nations throughout Africa have tapped into their abundant natural resources and unlocked their economic potential. Indeed, the International Monetary Fund has predicted sub-Saharan Africa would enjoy an economic growth rate of four percent for 2016, rising further to 4.7 percent in 2017. With this promising outlook, the continent offers an abundance of attractive business opportunities for international investors, from its vast oil reserves to its precious raw materials. And, as an ever-increasing number of corporate travellers flock to Africa’s dynamic capital cities, high-end hotel chains have been rapidly expanding across the continent. At Laico Hotels and Resorts, we are dedicated to providing international professionals with a high-quality travel experience. Our city centre accommodations are all ideally situated near international airports, and boast a comprehensive range of facilities that allow corporate travellers to relax and unwind between business meetings. Recently, we have added two new resorts to our growing portfolio of four and five-star properties, as we look to cater to the thriving African business travel market. Our first new location can be found in the small, tropical country of Guinea-Bissau, situated on west Africa’s Atlantic coast. 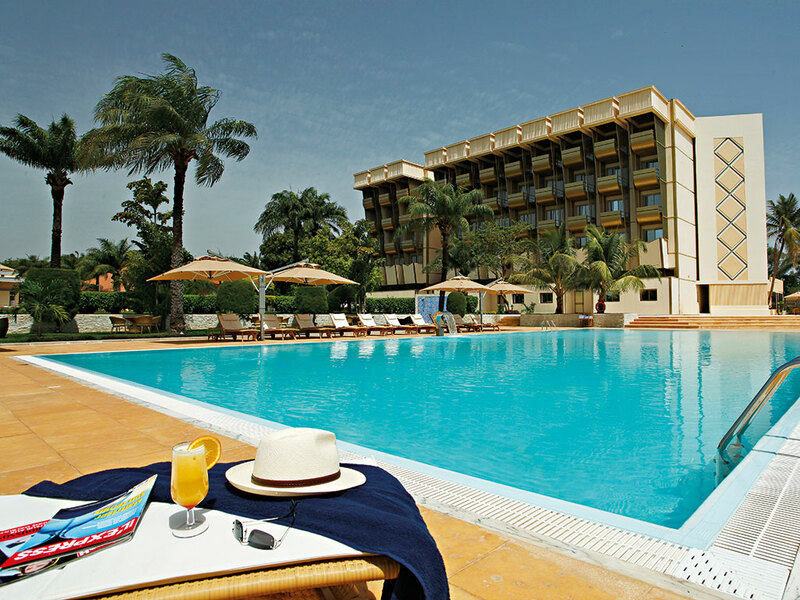 Ideally located just minutes away from the lively and colourful city centre, the Ledger Plaza Bissau is the nation’s largest and most luxurious resort. Boasting more than three hectares of lush gardens and beautiful contemporary design, the hotel is an oasis of tranquillity. 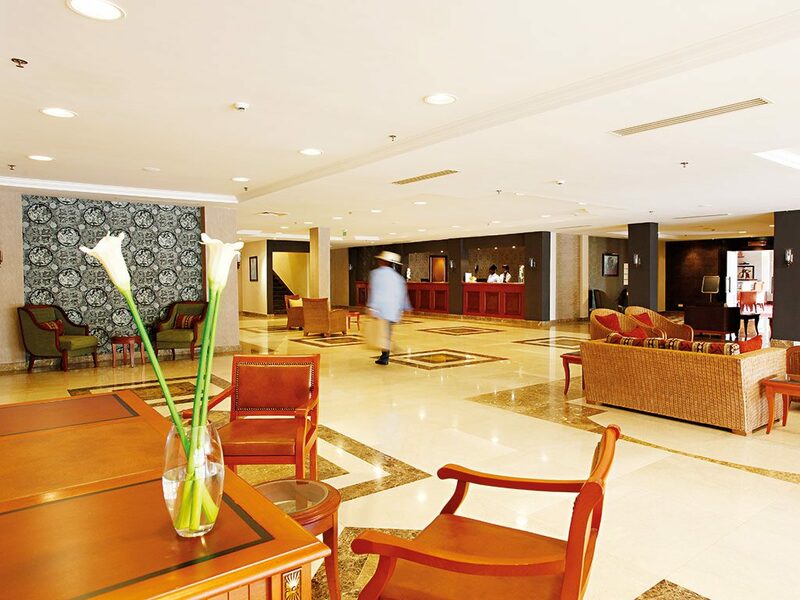 As the only five-star resort in the country, the Ledger Plaza Bissau is the ideal destination for business events. Each of the hotel’s spacious, elegantly designed conference rooms come fully equipped with the latest in sound and lighting technology, while the indulgent resort spa offers a range of treatments and massages to help visitors relax during their stay. The bustling city of N’Djamena provides the location for our second new resort. Once a small, colonial town, the Chadian capital is now a modern, dynamic city with plenty to offer tourists and business travellers alike. Located just next to the nation’s main parliament, the Ledger Plaza N’Djamena holds the record of being the tallest building in Chad. With its spectacular green gardens and sleek indoor space, our hotel provides the perfect setting for both indoor and outdoor events. Along with our famous Tibesti restaurant and our popular nightclub, the Blue, the resort also offers a contemporary events space, which can accommodate up to 350 guests. By launching new luxury resorts in Guinea-Bissau and Chad, Laico Hotels and Resorts hopes to tap into the two nations’ growing economic potential. Guinea-Bissau is a fast-developing nation, with increasing numbers of commercial flights connecting the capital to the rest of Africa and beyond. As a former Portuguese colony, the nation shares cultural and commercial interests with the Portuguese-speaking world, and is a popular holiday destination for travellers coming from Angola, Portugal, the Cape Verde islands and even Brazil. With regards to Chad, many international investors expect the nation’s economy to perform well in the mid to long term, despite the current crisis stemming from the drop in crude oil prices. Indeed, many international airlines are now scheduling flights to the Chadian capital, connecting the city of N’Djamena with business hubs around the world. As global attention shifts towards Africa and its thriving business climate, Laico’s collection of luxury hotels and resorts provide the ideal destination for corporate travellers visiting the continent.